A local business owner reflects on Grand Rapids' joining the movement in solidarity for Human Rights. I remember it well. People did not show up for work, companies were operating without many employees, students missed school and thousands of businesses didn’t open their doors. My family and I had just watched the movie "Un día sin mexicanos" in 2004. I recall the movie being sad in different ways. First, Mexican actor Eduardo Palomo, who I admired a lot, died before the movie was released and they dedicated the film to his extensive acting career. Second, besides the funny scenes shown for trailers, the drama itself wasn't funny, it was bland, it needed something. At that time, George W. Bush was President in the U.S. and perhaps his actions sparked producer Sergio Arau's motive for the film regarding immigration policies. At that young age, I never truly understood the point of the movie other than entertainment. Now, 13 years later, the film became a reality; however, fiction cannot be compared to what we have witnessed this past February 16, 2017. I still don’t know who, where and when the strike and boycott was organized. I believe the flyer I received came from California. Locally, there had been conversations about something like that right after the election, but many community leaders felt that it wasn’t the right approach and perhaps unrealistic. Some proposed other measures. Specifically, with the Latino Community Coalition, there are plans to organize a massive blood drive from the Hispanic community to fight violence and hate with love; saving lives is the message it will be aiming for. However, the news about the nation-wide movement “Un Día Sin Inmigrantes” arrived all of a sudden. There was doubt, there was uncertainty, and specially fear of what could happen, but Grand Rapids joined the movement with dozens of business closing down, people missing work and children not attending school. Social media exploded with messages about the importance of the cause and also organizers invited people to a peaceful march at one of the city’s busiest intersections, Division and 28th Street. 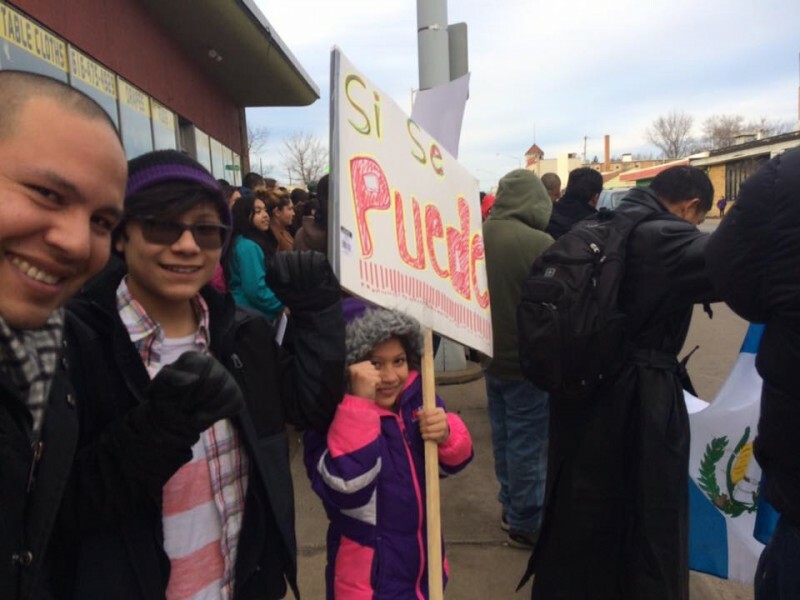 Hundreds walked the march raising their voice about the importance of immigrants. Massive walks took place not only in our community, but in major cities throughout the entire nation. Many local restaurants, offices and grocery stores closed and some others decided to open. I don’t particularly agree with the retaliation many community members are taking against those who decided to open; it was their right to make that business decision and I believe they did not intend to harm the cause. 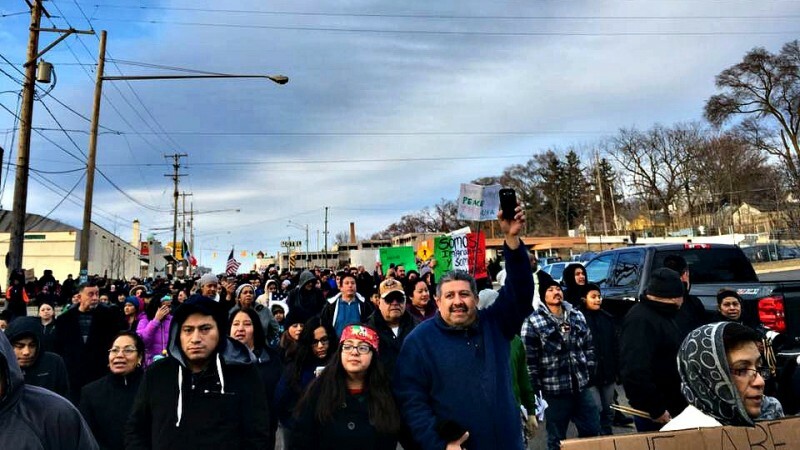 I think there is a tendency in the Hispanic community to believe that if someone is not "with us", then they are against us, which it is not necessarly true and I hope people don’t continue with the argument to boycott the stores that opened because that is creating more division amongst the same community. It simply was not the objective for this initiative. Many may argue that the whole movement was pointless and somewhat annoying. People commented they wish Immigration patrols would have showed up to the marches to take protesters away. People alleging that they could fill in the jobs we left, that they do not need immigrants to contribute to our country’s economy. Others claimed that it is only the illegal immigration that causes problems; I received messages from customers stating they will no longer support our family business if we stand up for undocumented immigrants. And like those statements, many other business owners received all kinds of insults and devastating news about people turning their back on them after Thursday. But the question is, what are they doing to impact systematic change in the immigration policies? Please don’t say the wall. What was the point? What did we achieve? Are the consequences worse than we imagined? I can’t speak for other business owners, but I think some can agree that the unity of the people and the support of our allies was a beautiful outcome. We had incrediblely understanding clients who knew we were closed and supported the cause, applauding our efforts even if that meant we canceled their orders. Our Facebook page received uplifting messages about people believing in our cause and ready to go to our business the next day. Our employees felt good about the support given to them and their families, which increased their confidence and hope to move forward. To the people with fear and hate, please understand the fact that this movement is not encouraging illegal immigration. We are speaking up for the concerns regarding the executive orders and the attacks from the new presidency to minority communities, to immigrants regardless of their status, to the disabled, to women, to anyone who looks different. Understand that this issue comes from the history of demand for workers who are willing to do the jobs American citizens simply don't take, not just currently, but from decades ago. The issues of unemployment in the early 1900's contributed to the need for labor in the fields, at the factories, at the nurseries, and in the hospitality industry. That demand encouraged illegal immigration because there was the opportunity for labor. People escaping their countries came here and fulfilled that demand, willing to suffer unimaginable working conditions to provide to their families. Please understand that we don’t want you or your family to go through the same; we demand respect for what we have contributed to this nation in centuries. "A Day Without Immigrants," I believe, was an effort to engage in the conversation on how we can collaboratively make change without oppression and hate. The current presidency is simply not facilitating such approach. Although Immigration labor has come a long way with many laws and policies protecting human rights in recent years, the new presidency is raising issues for people to be fearful; executive orders could cause a backward effect on what those policies protect and it would not be in anybody’s favor. A day without immigrants will not show consequences right away. Small businesses were affected, yes. Hispanic restaurant owners in major cities claimed to have lost $100,000 in sales in one day; imagine how that will impact not only their employees who didn’t put in the hours; not all employers were able to close and still pay them. Imagine the impact that the vendors and suppliers will have for missing the sales of one day, then they go to the farmers and also decrease their orders and so on. Additionally, the repercussions can reach the international commerce with reduced purchases of produce from Mexican farmers, especially after President’s recent declarations regarding NAFTA. The effects will be in the long run. That is an example from my restaurant industry, but there are countless scenarios on how not having that workforce will impact other major industries in a negative way for the economy. Education can be also negatively affected with funds for the schools decreasing after a day like Thursday. Grand Rapids Public Schools declared snow day after the manyof the students were absent. And for that and many other reasons, we wish for people to value our stand in taking action towards a plan with dignity. 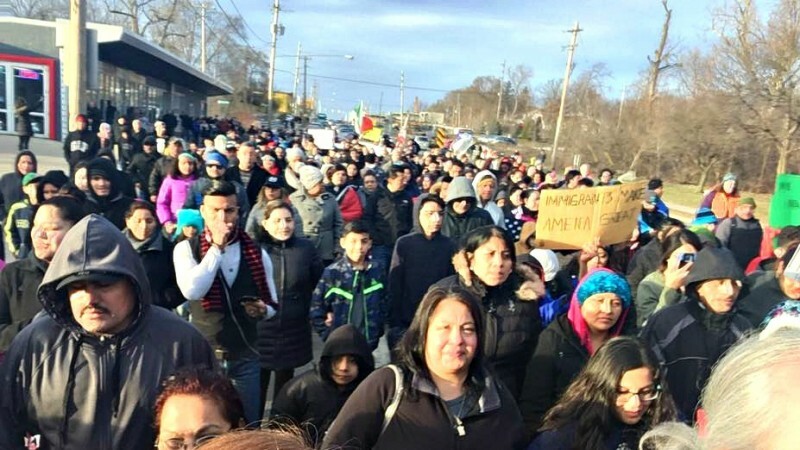 I would never have imagined after living in this country for 12 years the desperate measures our community is taking to speak up for our rights, but I'm truly impressed by the action and courage of millions who, regardless of their immigrant status or U.S. citizenship, stood up for what they believe and demonstrated that united we can make an impact.